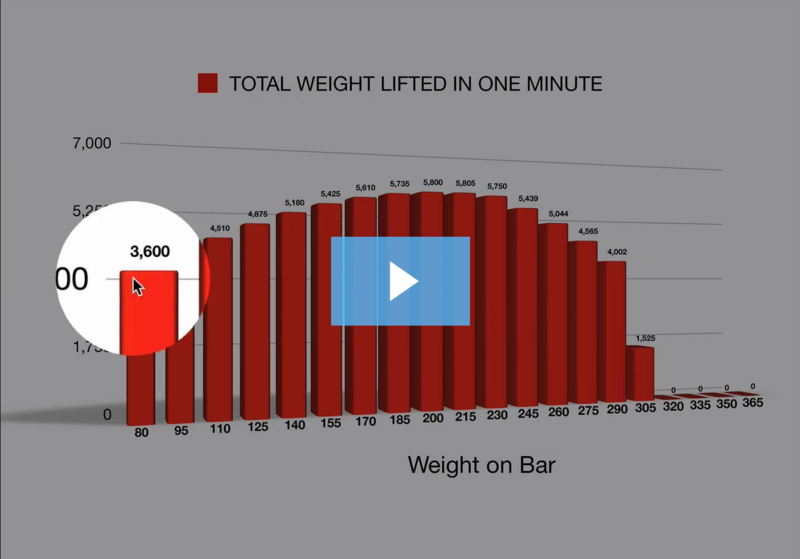 How data driven strength training will forever change your perspective on two very common (but wrong) pillars of weightlifting advice. Previous Post Webinar: Data Driven Strength Training Next Post What If You Did 10 Workouts in a Row? As a 77 year old and 13 year veteran of strenght training; I use a spreadsheet and timer to know how my workouts are progressing. How do I know if I have had enough recovery time? If I have difficult in my next workout I find that I have not given my body enough time to recover. Good job, Tim. If you can’t measure in black & white it just isn’t science. And many things can affect recovery – inside and outside of the gym. I’ve always been curious about strength curves and finding the sweet spot. Has generating strength curves always been a proprietary algorithm like the many algorithms featured in your ESG, or were they generated by trial & error in the past (such as your 1997 publication)? In other words, how did you generate strength curves way back in 1997 before ESG? Thank you very much. The important thing is to see – conceptually – that every weight you choose corresponds to an amount of time you can lift it continuously. Heavy weight = short time. Light weight = long time. Everybody knows that intuitively. But the next step is to chart the results by how much Intensity (weight per minute) each combination delivers. That’s when things get more interesting. There’s always a curve in 100% of people doing 100% of their lifts. And certainty is hard to find in this universe. From there it’s just a matter of extrapolating where today’s peak combination might be. And you never get the satisfaction of knowing you hit the bullseye. Sure, you might improve 4%, but was 6.2% possible? 9.1%? But here’s another giant realization. How far are you from the World Record? Can you Bench Press 50% of the WR right now? 22%? 9%? It’s a finite number for certain. And if you improve just 2% per workout how many workouts are you from breaking the WR? Or from your absolute genetic limit? That is also a finite number – and it ain’t a big number. This is the direction of my thinking these days. 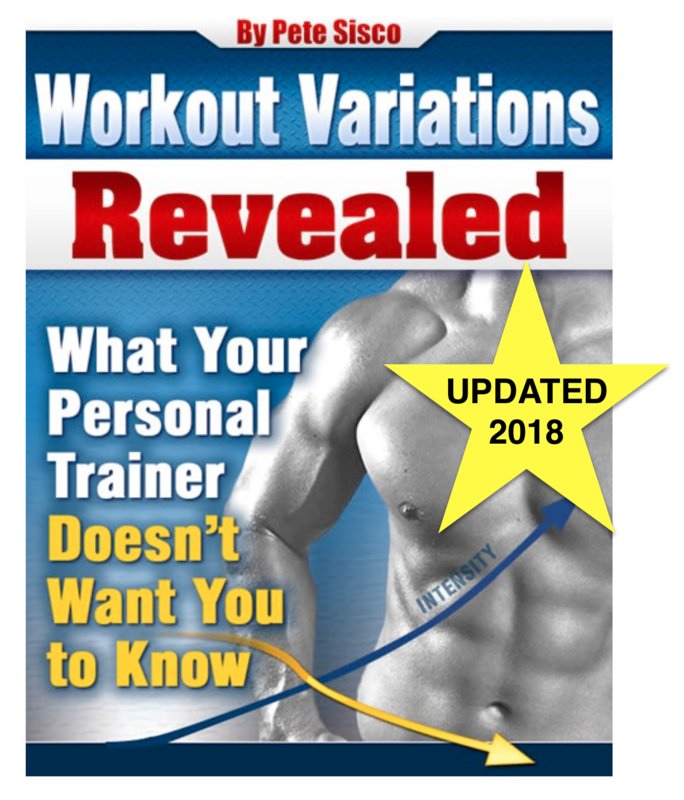 (2018) Has strength training been misguided for a century? Should young men (and women) spend some time devoted to doing 50 productive workouts to reach their peak possible strength – then just do an occasional workout for the rest of their lives to maintain that level of power output? Sure, cardio, yoga, martial arts and other endeavors require frequent, ongoing efforts. But could strength training be in it’s own category? Could we all maintain our peak muscularity with 1 to 5 workouts per year? I’m curious about that. 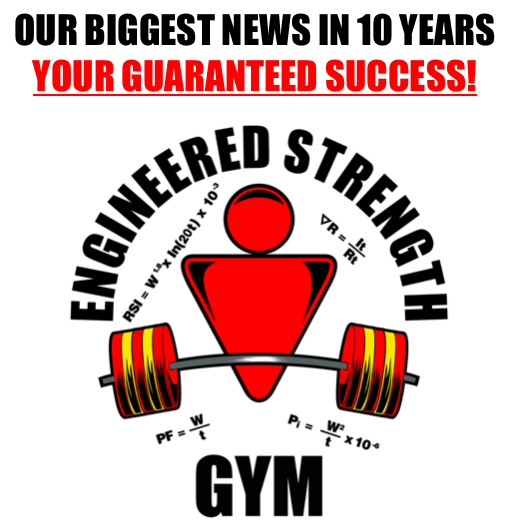 Thank You for all of your statistical analysis over the years in the field of strength training. You seem to be the only one out there that has gathered years of data and then you have the mathematical genius to drill down through all this data to arrive at a different way of training that can be tailored to the individual. I have been a gym rat for over 50 years now. I spent most of my early years in the gym doing the customary 3 day a week workouts. Around 2004 I purchased your Static Contraction program. At that time I was 56 years old, I saw my strength increase at a rate much faster than I had been able to accomplish in my 20’s. It wasn’t long and I had maxed out all the machines in my gym (on the leg press machine…I was able to load the machine with as many 45lb plates as it would hold and still do a 5 second static hold…my problem then was…how do I still keep increasing my strength? I decided I would build my own machine. I fit the machine with a dynamometer which was very helpful because now it didn’t take me forever to load 1300lbs for exercises like the leg press. I was now able to perform a complete full body workout in under 15 minutes and doing a workout about once every 3 weeks instead of the 3 times a week I had been doing for 35 years previously. As I continued my Static Contraction training, the machine I had built finally could not hold up to the strength I had acquired (I was now lifting 2400lbs on the leg press). I had to take my machine to have special steel reinforcements added because my machine was literally bending. I will be 70 years old in a couple of months. I am confident, from what I see in the gym, that I am stronger (doing strong range partials) than most of the 20 to 30 year olds in my local gyms. (By the way, I no longer do full range exercises. I have the scars on my shoulders from shoulder surgery to prove that full range lifts are not the way to go). All this to say, “I have found nothing that even comes close to Static Contraction Training in all my 50 plus years of training. I have had no injuries since I started Static Contraction Training and I am thrilled with fact that I only have to train about 15 times A YEAR and then only for about 15 minutes per session. And, by the way, I experience no soreness with this type of training! I have had many people approach me in the gym and ask me what type of training I am doing, (after they see me maxing out machine after machine). I tell them I am doing something called Static Contraction Training. Most say, “Oh, I have tried that and it didn’t work for me.” I don’t argue with them. I immediately know that they did not follow the program properly (most people are back in the gym too early and miss the most important part of the program, RECOVERY (the time when our muscles actually grow). Pete, I know I don’t have to convince you. You have worked with enough people and seen enough data to know that your system works and works better than any other type of training out there. I just want to say “Thank You”, for giving us a strength training system that is safe, efficient and effective even for a 70 year old. Thanks for the detailed feedback, Dennis. Safe, efficient, and effective pretty much sums up Static Contraction training. I always wonder how anyone can get themselves to believe that lifting the HEAVIEST POSSIBLE weight under ideal conditions could not cause an adaptive response in the body. If it were true I’m sure every medical research lab in the world would want to study that person – massive power output with no metabolic effects – that would be hard to imagine in this universe. What programs do you have for bodybuilding? For example, is your hobby going to the gym every day? Do you need perfect symmetry for contests?